Paul Boudreau and Erin Wiseman sponsored teams this year to enter ten competitors in the 6th annual Zonta 5k in Jefferson City. 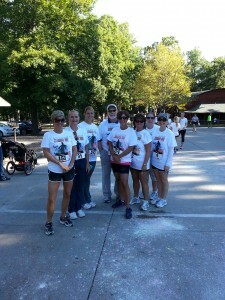 Members, employees and friends of the firm competed as color was launched at them at various points in the race. 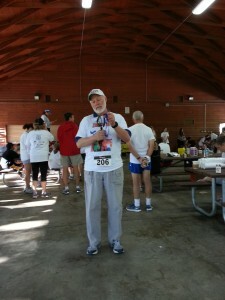 Russ Mitten won first place in his division and a second time winner, Pat Hulse, placed second in her division. Erin Wiseman is a Board Member of the local Zonta Club. Zonta Club of Jefferson City is an organization that promotes the advancement of women through education locally and globally. 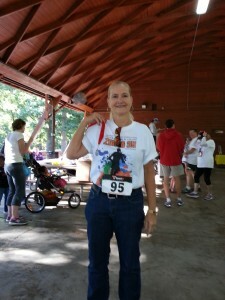 All proceeds from the race went to Zonta International which supports missions worldwide to advocate and create solutions for women and their families.